KICK START CAFÉ is a not-for-profit social enterprise that was established, and is now being incubated by PAYCE Foundation. 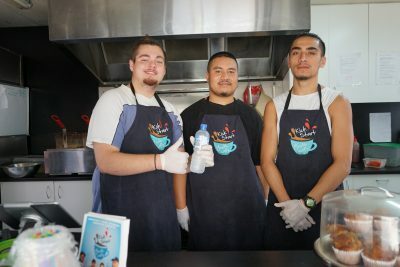 The café employs young people in a 6-12 month pathway program that is tailored to meet individual needs and provide holistic care to the participant. With the support of Riverwood Community Centre and National Training Organisation, participants receive accredited training, work experience, case management and mentoring, so that on exiting the program they are well equipped to create an active and fulfilling life for themselves. PAYCE Foundation supports the operations of KICK START CAFÉ, working towards a business model that is both sustainable and replicable. KICK START CAFÉ aims to continue partnering with construction and development companies to provide on-site cafes to service construction workers and the local community while providing employment and training opportunities to young people. 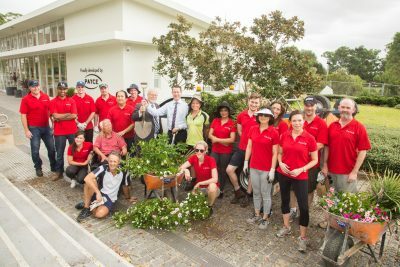 KICK START CAFÉ has been supported by a number of local and strategic partners including Riverwood Community Centre, Stretch-a-Family, SGCH, Schibello Caffè and Dasco.